Zeebox, the TV companion app part-owned by BSkyB, is to integrate a Shazam-style audio-recognition feature, so that the second-screen experience on the app can synchronise with what is showing on TV. By integrating audio-fingerprinting technology from Gracenote Entourage, Zeebox will be able to identify TV shows and films being watched live or on catch-up, from a few seconds of audio. Once Zeebox has recognised a TV show, it will be able to upload votes and polls, streams of relevant Tweets, information on the TV show or its actors, and opportunities to click to buy. The technology apes the functionality of Shazam, which, through an ad sales relationship with ITV in the UK, sells second-screen advertising opportunities synchronised with ads showing on ITV channels. A spokesman for Sky had not confirmed whether Sky Media will be selling second-screen ad opportunities taking advantage of the audio-technology, by the time of the publication. In September last year, Shazam announced that it would be "tagging" all TV shows in the US as part of a push to extend from its heritage in music recognition, to become more of a TV-viewing companion app. 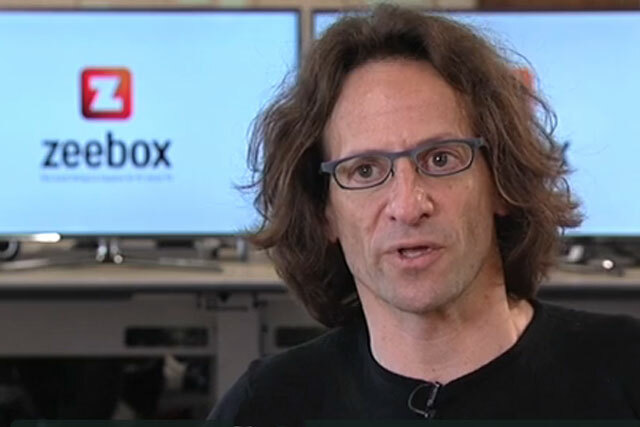 Anthony Rose, co-founder and chief technology officer at Zeebox, said: "[This] will allow us to take Zeebox to the next level, providing that great interactive and synchronized Zeebox experience for both live and recently PVR’d content." In the US, Zeebox has announced a series of strategic alliances with TV provider Comcast Cable, as well as networks including NBCUniversal and HBO. Zeebox was founded by Rose, who was instrumental in the development of the BBC's iPlayer, and sold a stake to BSkyB in January last year as part of a wider partnership that included licensing Zeebox technology for Sky apps.